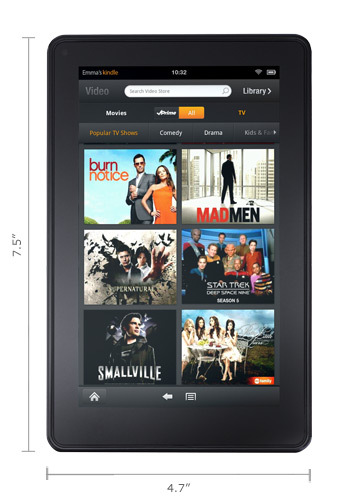 The Kindle Fire has probably been one of the most competitive Android tablets out on the market to date. Some of the reasons why include the Kindle branding and the inexpensive price tag. After the success of the Kindle Fire and new Nook tablet, several other top names have announced similarly sized and priced tablets. This includes the announcement of the Google Play Tablet, which will be a 7", Google flagship tablet also sold for around $200. In addition, Apple has finally started working on an 8" iPad tablet after years of saying that they wouldn't. There is a similar relationship between traditional Android tablets, like the Galaxy Tab and the Transformer Prime, and the Kindle Fire. The Kindle Fire has been "dumbed" down to be a pure consumption device. This is Amazon's main goal. They sell the device for the same price or less than the cost to produce. Why? Their success lies in the consumption end. They offer a month of free Amazon prime. The kindle store, Amazons video library and Amazon market is right there, built directly into the stock launcher. And temptations to go else where have been stripped out of the system (ie no Google market to download an alternative reader or video apps). And it works! I have spent over $550 in the Amazon market since purchasing my Kindle Fire. Compare this to the $41 I spent in 2011 prior to receiving my Kindle Fire and the $53 I spent in 2010. It is just too easy to look for things I want, read reviews and purchase them from my Kindle Fire. This doesn't even include what I've spent on digital purchases, including Apps and books. I haven't purchased any videos or magazines, but I have made the conversion to purchasing e-books. I started off trying to use the public library to borrow e-books, but I found I am just too slow to read novels within the 28 day lending period. My fiancé got an HP Touchpad during the fire sale. My impression of it was that it was too big and heavy. I got my Kindle Fire and absolutely loved the size. This is a device I can cuddle up to in bed and read a good book. The transformer prime is different; it is the epitome of an Android productivity tool. It is super sleek and light. I was shocked to hold it. It is thinner and lighter than the Kindle Fire. Although I am quite jealous of my brother who just received his transformer prime, I still love my Kindle Fire! in its green case and right is my old journal. 7 inches is the perfect screen size for me! Some people may like the 10 inch iPads and the transformer prime. I really do love the 7 inch size. It is the perfect size for cozying up to while reading a book or web articles. Cases - The cases for the Kindle Fire reinforce the feel that this device is intended as a reading device. I have a faux leather case with a spine and cover flap. It looks like a little journal or notebook! This just heightens my desire to use it as a reading device and a journal. I am quite addicted to using it as journal with Evernote. Apps - Amazon was brilliant in releasing their Amazon app market prior to releasing the Fire. I already had a large library of pro apps that I obtained for free! Unfortunately, the free app of the day has lost some of the allure as most of the current apps that are being released are mostly garbage. I feel sorry for those that didn't have the Amazon app store prior to getting the Kindle Fire. I wish they would just go back and release apps they had already done. I'm positive I missed some of the awesome ones. Integrated Amazon environment - if you are a fan of Amazon, this is a very integrated device. It is more an Amazon device then an Android device. You are one click away from the Amazon market, Amazon video store, Kindle books, Kindle magazines and the Amazon App Store. Plus you get one free month of Amazon Prime! That summarizes my likes. Now we have to look at the dislikes. No Bluetooth - When I first got my Kindle Fire, I started trying to use it for productivity and thought that a bluetooth keyboard would be sweet. Remember, this is not a productivity device. As such, Amazon has stripped out support for a bluetooth device. Although the chipset is still there, there is no driver support. I still think it would be nice if a driver was pushed to the device (or sold with a Kindle branded keyboard?). No GPS or cameras - I really don't care for these features on a tablet, but it is a bummer that some apps are not even accessible due to the lack of compatible hardware. It would have been nice if Amazon had programmed software to tell the apps that the kindle has these features with some dummy spoofing. Perhaps in the settings menu there could be setting for a default location. Apps - So many are missing! Like Gmail and Facebook - luckily, for the more tech savvy, there is a fix for this! It requires root access though, so it is not for the tech faint of heart. If you aren't comfortable with hacking your device, you will just have to live with the mobile website. The mobile sites aren't horrible, it just makes it less convenient to share to these sites. WiFi Connectivity - WiFi turns off when the screen is asleep, which causes re-connectivity issues when it wakes up. The only thing that seems to work is toggling wifi on and off. All of the above shouldn't dissuade people from purchasing the Kindle Fire. It is still a great device. I loved it the moment I held it in my hands. I didn't want an Android tablet. I wanted a Kindle Fire. They are two different beasts. The Kindle Fire feels like a book or a journal, and that is the two top things I use it for. I read books and websites on it and I've started writing in it as a journal with Evernote. That being said, there are things that can be done to improve the Kindle Fire experience. Unfortunately these are not for the tech faint of heart. If you are comfortable with computers, coding and reading up on hacking, then proceed. Otherwise I would suggest reading the below as something to note, then continue on to some of my no-hacking recommendations. Enjoy your Kindle Fire for what it is, or buy a real Android tablet (like the transformer prime or the Google Play). 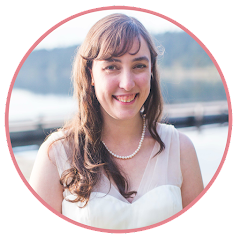 I'm lucky in that I have a fiancé who is super into Android hacking, so he set me up with root and helped me with these hacks. The first step is rooting your Kindle Fire. None of the below fixes will work without root. This is like jail breaking for an iPhone or administrative access on a PC. It gives you and apps access to system files. I recommend doing this for all Android devices. I am lucky and have a fiancé who is obsessed with Android development (hacks and ROM development). Here is a list of things that improved my Kindle Fire experience. Install the Google market: the amazon app market is good, but having access to both markets is better. Install Google apps: Gmail, calendar, maps, etc. Install system apks that are missing, like Contacts Sync Manager, Calendar Sync. Use anycut (download from Google market) to create custom short cuts to hidden settings like the accounts and sync settings so you can turn on syncing with Gmail and your Google calendar. Custom launcher: I prefer ADW and have the pro version courtesy of the Amazon app market. This doesn't replace the Amazon launcher, so you can still access it at any time. I've even put the stock launcher shortcut on my desktop. Facebook and Google Plus apps: these work perfectly fine, just download the apk from your Android phone or from the web and install from root explorer. Install other apps from either the Google Android market or by grabbing the apks from your Android phone. Install a third-party keyboard: I prefer Swype, but swift key is also a good one. You can easily switch by long pressing the typing field and select input method. You will need to switch back to the stock keyboard every now and then to minimize the keyboard in order to access the home and back button, but it is worth it. After you have the above all done, you may want to unroot. Rooting breaks Amazon video. This is the only downside that I know of. I never watch Amazon videos, so I didn't care to unroot. However, it should be noted that Amazon does push regular updates that you can not decline. These updates break root. I hardly ever notice, since once you have the Kindle set up you will rarely need root. I originally planned on sharing articles on how to do the above fixes, however I feel that whatever I link to may quickly become outdated. If you are prepared to start researching the above, check out the XDA Kindle Fire Forum to get started. Many of these fixes I just typed into Google search to find a related article to walk me (or my fiance) through. Besides the above fixes, here are some optional recommendations that just make the kindle fire even better. These don't even need root access. Stylus - I like using a stylus with my Kindle Fire as it extends my reach over the larger screen. It is more comfortable than using my finger. I found that my hands would actually hurt after a bit of Swyping on my kindle, but I think the stylus resolves that. I purchased the cheapest stylus on the Amazon Market that I could find. From the reviews I have read, the nibs generally get worn out fast. Even on the more expensive stylus. I thought a handwriting app would be cool, but Swyping is just so much faster than handwriting. I bought the 7notes app of the Amazon market. It is fun to play with, but certainly not going to replace pen and paper. It does not replace the keyboard, and I have not looked into hacking it. By doing these fixes and recommendations, the kindle fire is absolutely fantastic! The only complaint I have now is no external/hard keyboard support (I'm still very jealous of the transformer prime). Swype and the stylus have helped me get over this, but it would be nice to see the Bluetooth chip get a driver. Although the Kindle Fire is perfect for me, I could see also having an e-reader. The LCD screen doesn't bother me, as I tend to not read for very long periods of time. I like being able to read at night using the night mode with minimal light in my bedroom to help me settle down for sleep. I could see wanting the e-reader for vacations, where I may be spending greater lengths of time reading and access to an outlet may be more limited (like while camping). The Kindle Fire battery tends to last me 1/2 a day or up to 2 days, depending on how much I use it. It is my understanding that the e-readers can go for roughly 1 month of battery life, assuming that WiFi is turned off and it is used for roughly 30 minutes per day. Update: I originally wrote this article back in January but am just now ready to start my blog. I've noticed that this article has become a little dated and have tried to update it, but the fact is my thoughts on the Kindle have changed since I first typed this article up. Don't get me wrong, I still LOVE my Kindle Fire. What changed? When I first wrote this article, I was trying to use the Kindle for production use. I was writing everyday in Evernote on my Kindle Fire. This article is kind of funny in that I discuss how the Kindle is not a production device, and yet here I was trying to use it as such. I even originally "typed" this article up on my Kindle Fire. I have since purchased a Chromebook, which I had determined as a necessary investment if I really wanted to Blog and write in general. I have shifted many of my daily uses for the Kindle to the Chromebook. Some key differences being that I prefer to read my book on the Kindle and use my Kindle as a mobile device. The Kindle fits in my purse, where as the Chromebook generally stays home. This is where to start if you are interested in hacking your Kindle Fire: XDA forums. Do you have a Kindle Fire? Let us know what you think in the comments section below!